The capital city of Tuscany region, Florence, was once a centre of trade and finance and is the birthplace of the Renaissance. From Dante Alighieri to being a centre of textile production in Europe. Florence has a lot to offer for its visitors, whereas these 10 tips are some of the must-visit attractions. Officially chapel is known as ‘Chiesa di Santa Margherita de’Cerchi’, but it is recognised as Dante and Beatrice’s Church. It is considered to be the venue, where Italian poet met his muse and fell in love. This chapel became a strong romantic hub inside the city and every couple should put it on their sightseeing list. Many visitors like to think that Beatrice is buried inside. In front of ‘Beatrice’s Tomb,’ you can find a chest of messages asking to protect people’s love. It is nice to sometimes escape urban atmosphere and refresh your thoughts surrounded by nature. Fortunately, Florence has several gardens worth the visit. 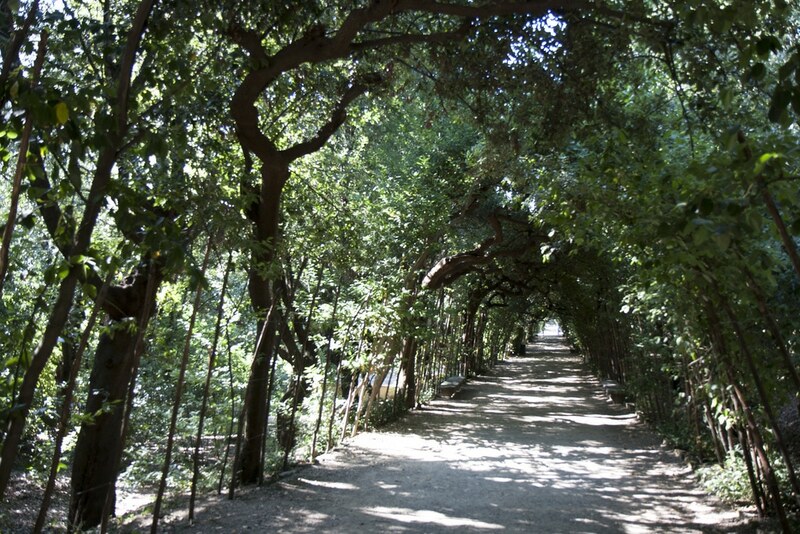 We would strongly recommend going to Boboli Gardens. It extends from the hill behind the Pitti Palace as far as Porta Romana. Throughout several stages of enlargement and restructuring work, it is one of the largest and most elegant Italian style gardens. The park hosts centuries-old oak trees, sculptures and fountains. Perhaps Boboli Gardens will inspire you to read the works of Giovanni Boccaccio. 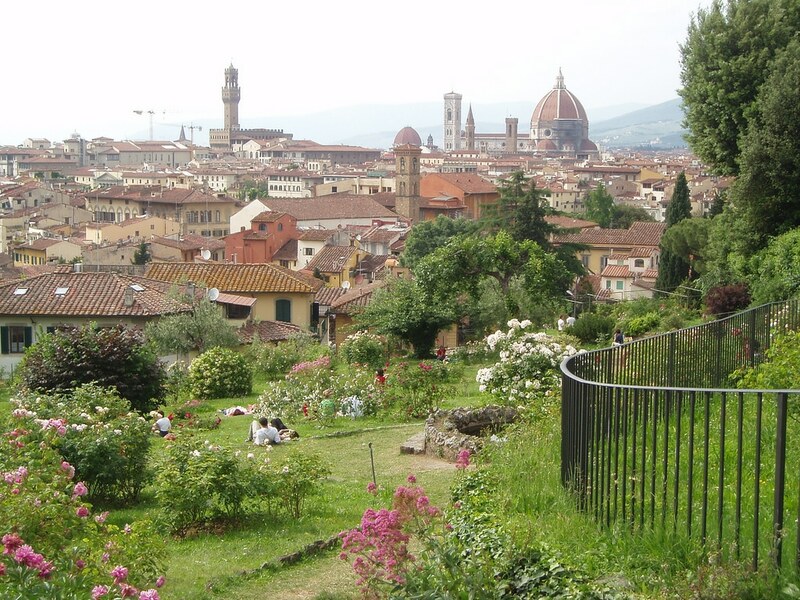 Secondly, The Rose Garden of Florence is an ideal location for a relaxing afternoon walk, or for the breathtaking landscape view of Florence. If there is a perfect spot to commemorate Florence, it has to be in this garden. The best time to visit it is in May and June, when over 350 varieties of roses are in bloom. However, do not be disappointed if you arrive later, because there are still many other interesting plants such as lemon trees, or a Japanese Garden. Lastly, when travelling to Florence we would definitely visit Cascine Park for some local experience. Many inhabitants of Florence spend their weekends in the park with the family, riding rollerblades, flying kites, jogging or riding bikes. Therefore, if you would have some spare time in the capital of Tuscany, grab a portion of Gelato and head to Cascine for outdoor activities in local style. 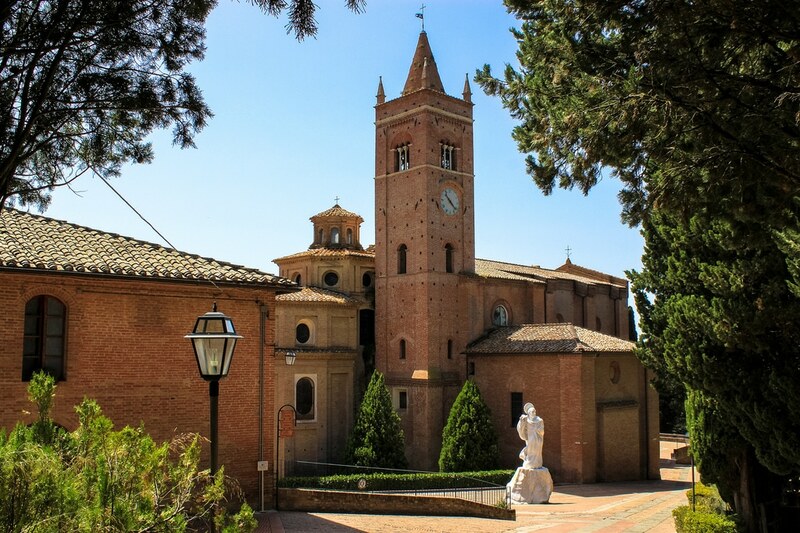 The Archabbey of Monte Oliveto Maggiore gloriously manifests from natural surroundings of Tuscany region. It is the spiritual centre of the Olivetan family that is now a monastery. The courtyard of the abbey opens onto a broad avenue of cypresses. To the left is the botanical garden that supplied medical plants for the monks, whereas a little further is a small fishpond, used by the monks to provide fish at those times of year during which the Benedictine rule forbade the consumption of meat. Perfect location to adore spiritual part of the region. 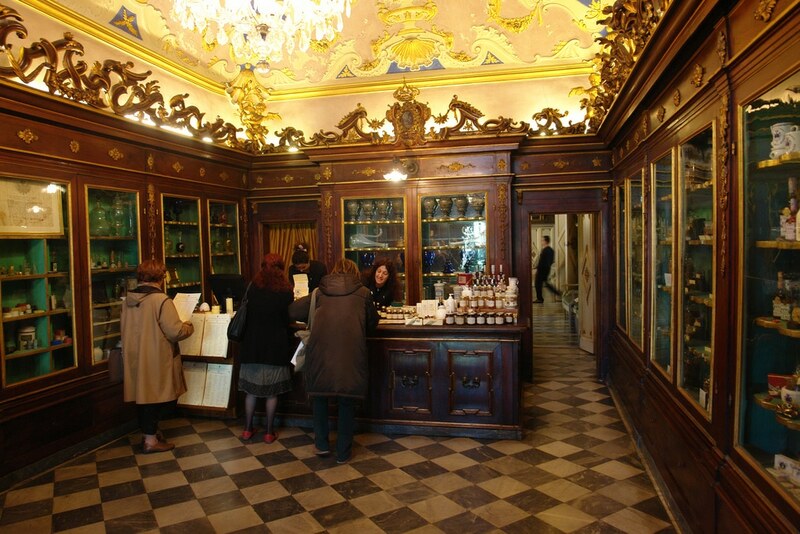 Perhaps you have never imagined that you would be reading the guide about visiting the pharmacy, yet Santa Maria Novella Pharmacy is different from a regular drug store nearby your home and should not be missed. Founded by Dominican friars shortly after 1221, it is one of the oldest pharmacies in Europe. It used medicinal herbs grown in the monastic gardens to make medications and balms for the monks’ infirmary. Pharmacy still has not changed its look and will undeniably take you back in time once you visit it. 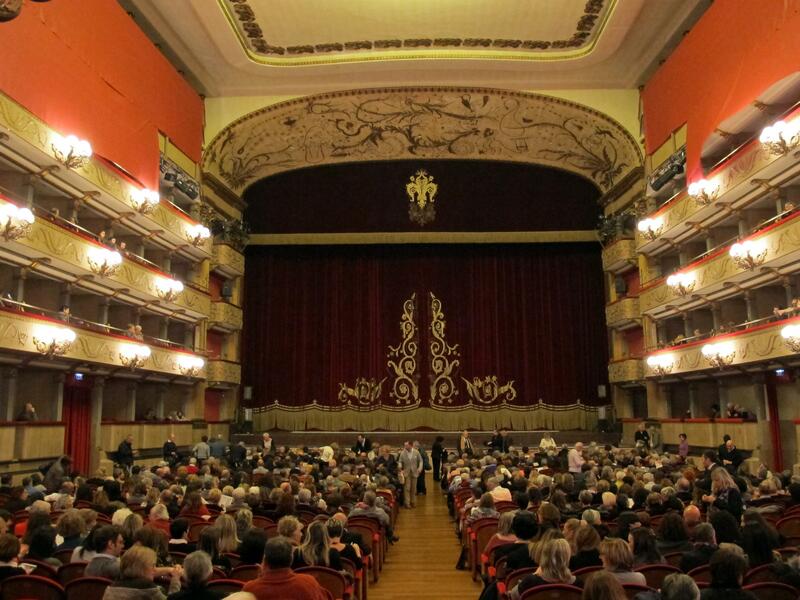 Italy inspires us to enjoy art and music, consider attending a concert or ballet at Teatro Verdi. Since January 1998, Teatro Verdi has been the venue for Orchestra della Toscana’s rehearsals and concerts. Theatre offers a variety of events, such as operas, jazz music concerts, ballet, plays or film premieres. La Cite is one of Florence’s most unique nightspots. It is a library bar and jazz lounge with a very artsy atmosphere. 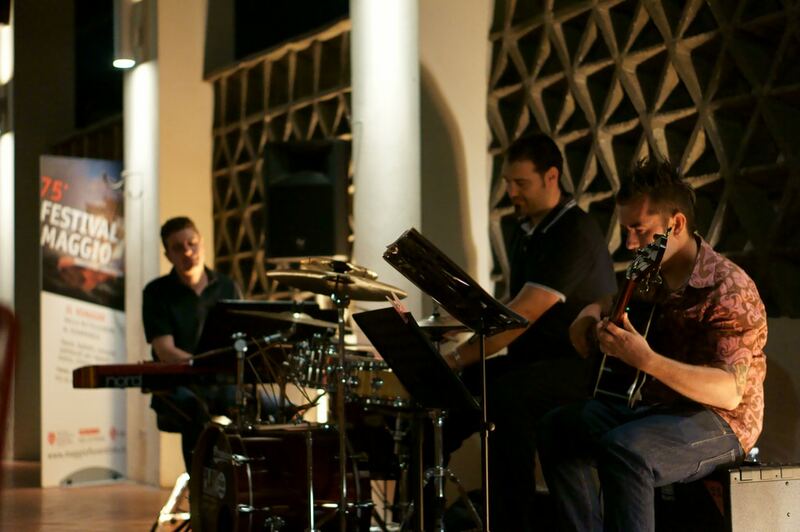 You can enjoy a glass of regional wine while seating around the traditional rustic wooden bar, while a local jazz band is jamming. La Cite is famous for its high amount of alternative books. Spread over two floors, the venue will suggest a perfect spot for a relaxation with the book. 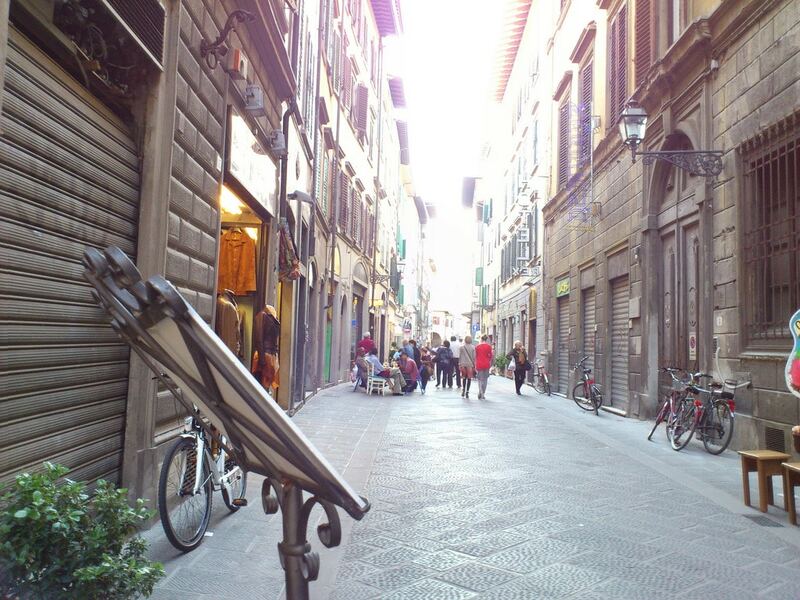 Charming neighbourhood of San Niccolò is one of the most evocative and distinguished districts of the city enriched by several typical Florentine cuisine restaurants, clubs and shops. In this historical district, you are able to discover a Renaissance period tower used to watch out for enemies approaching the city. We would strongly advise you to take a scope of gelato and spend a while at Piazza San Niccolò gazing at life rhythm of real Italians. If you have time, definitely pop into the workshop of Clet Abraham. Clet Abraham is not a famous personality, but his works became really famous and if you have travelled around, you have definitely seen some of it on the streets. This artist is hijacking street signs, making regular traffic control into real street works of art. In the workshop, you can buy some merchandise, or if you are lucky to watch how a new masterpiece is being born. A short walk away from San Niccolò you will be able to discover Porta Romana – Renaissance gate gracefully outstanding around nearby buildings. 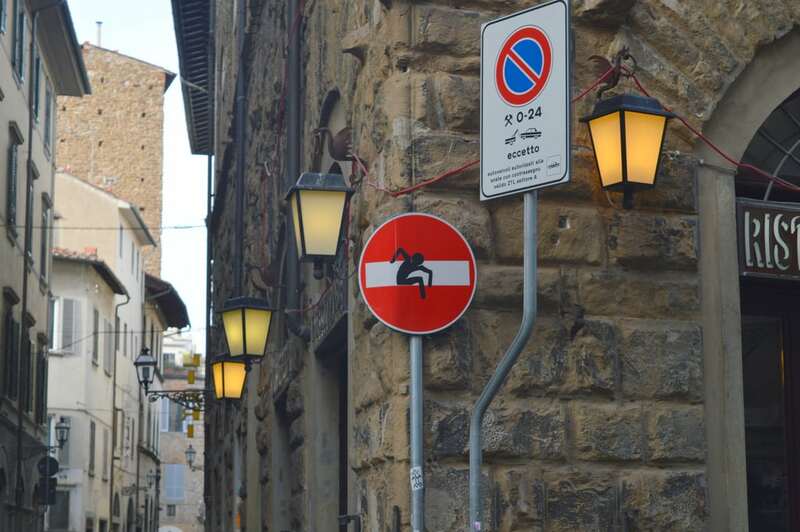 Once a defensive wall and the most important entrance to the city now is the beginning of Oltrarno district that should get onto your sightseeing maps. The government recently renovated Oltrarno to be traveller-friendly and now there are so many venues that deserve your attention. For instance, did you know that in the district you can find a workshop of Marina Calamai? She is known for her original food inspired desserts, considering worldwide love for Italian cuisine we are surprised that there are not so many artists in the world like Marina who use food for her inspiration. If her works of art will make you hungry, pop into the restaurant of berberè. Owners of this brand new restaurant brought the craftsmanship of pizza making on a highly new level. In this restaurant, pizza becomes nearly a work of art. Just when you would have thought that you already got a tremendous amount of historical and cultural information, Florence will open up to you its famous bridge that perhaps inspired you to visit Tuscany in the first place. 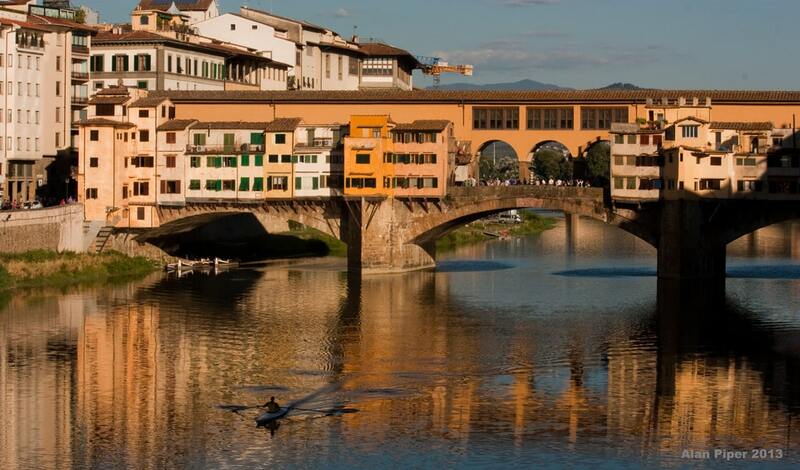 You can reach the bridge through the graceful covered Vasari corridor that is almost a kilometre in length and can be your passage through the bridge overhead the shops. Not many travellers have heard about Buontalenti Grotto, but it is a fascinating and unusual place to visit. 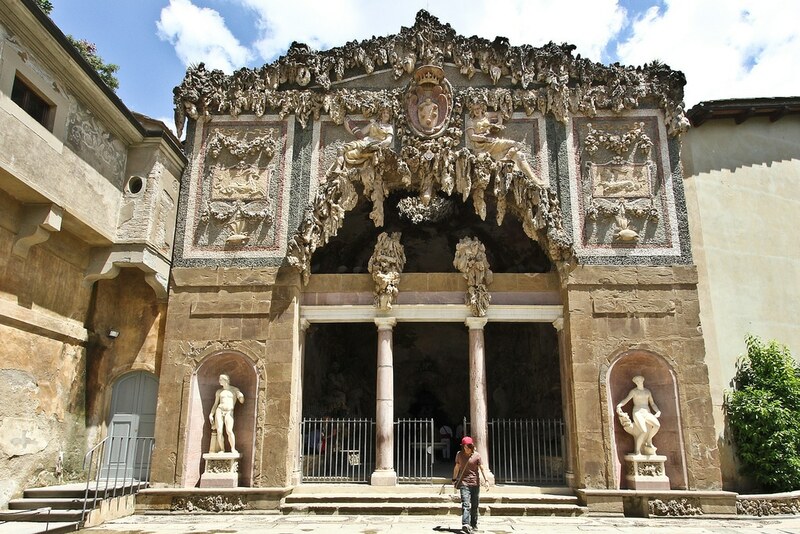 Grottoes were an essential element of sixteenth-century Tuscany gardens. Best artists were decorating grottoes so that they would reinterpret natural caves. For instance, Buontalenti Grotto features allegorical, magical and fabulous cultural elements. Bellosguardo hill is another marvel of Florence. You will not regret taking a trip there. Apart from mesmerising cityscape opening up from the top of the hill, Bellosguardo is also a neighbourhood of several famous historical figures. Galileo, Henry James, Nathaniel Hawthorne and Florence Nightingale are only some of the names from this fabulous district. 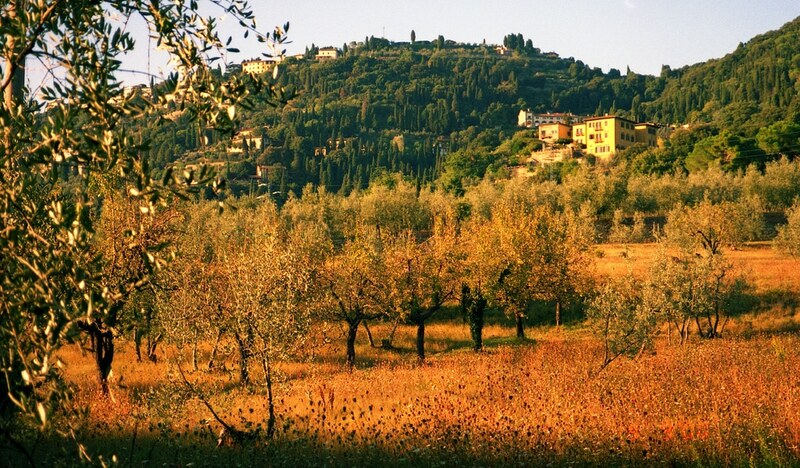 Located right in the metropolitan area of Florence, Fiesole makes a perfect trip to the rural area of the region. It offers a perfect view of the Florence. For the best view, climb up to the monastery of San Francesco. You might also consider visiting Vincigliata Castle while in Fiesole, astonishingly beautiful and undeniably authentic. 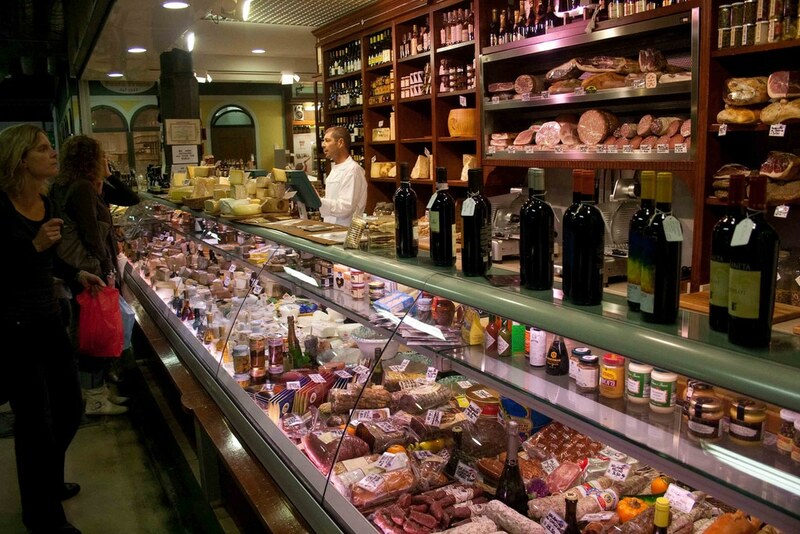 There are three dishes that you need to try while in Florence. Bistecca alla Fiorentina is what Florence cuisine is famous for worldwide. However, if you would prefer something lighter, consider ordering a regional Ribollita soup. Aside from your preferred dish in the restaurant, considering ordering a glass of Morello di Scansano. Red wine from regionally grown grapes will make any meal perfect. You can enjoy meals at many exciting restaurants of Florence, but with all the variety, we assume that it might be hard to choose, that is why we have a list of several places that are worth trying. Osteria dei Pazzi is a venue to put on the list for a well-cooked Florentine steak. However, nothing will give you more authentic Italian atmosphere than an interior of Osteria Antica Mescita San Niccolo. Caffeteria delle oblate might offer very basic dishes and sides, but it is really hard to find a better window view than in this venue. The entire venue is overlooking the famous basilica and will make an entire meal unforgettable. 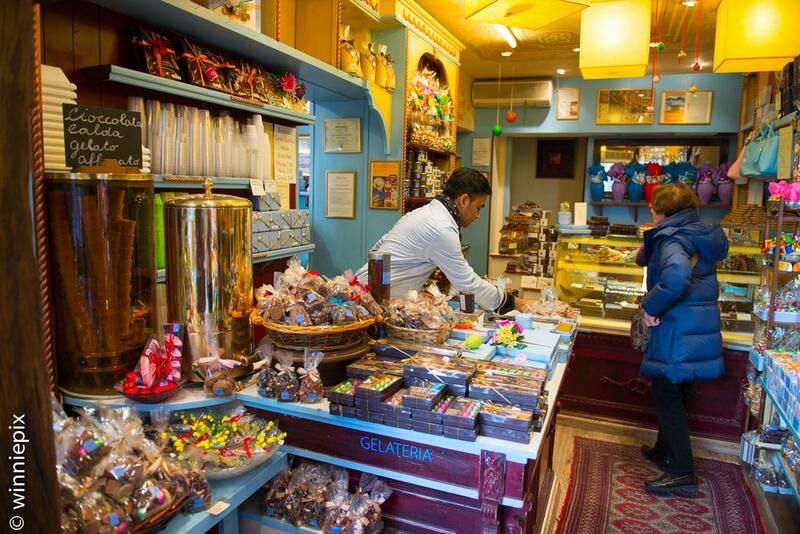 If you still have a lot to see in Florence, consider grabbing a scope of ice cream on the go at delicious and authentic Gelateria Carpina. 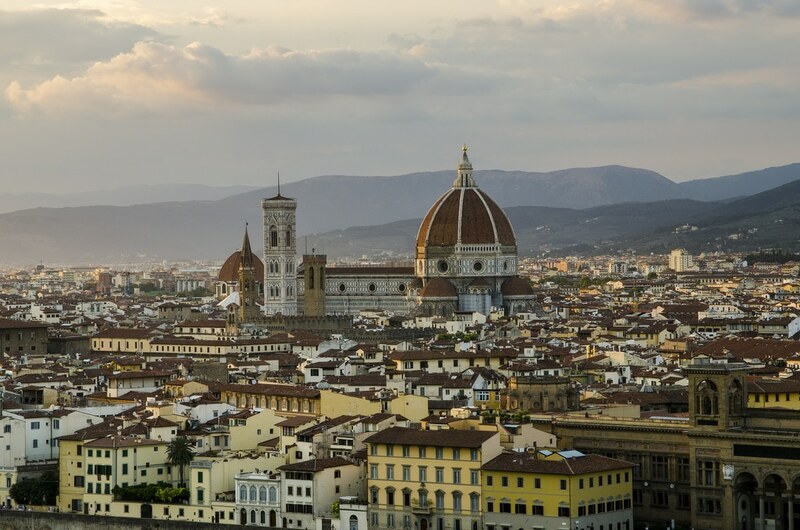 Florence is an exciting Italian destination that you should not miss. In this Renaissance hub, you can find authentic art masterpieces, walk the same roads as Galileo or Dante, and get inspiration in fascinating districts of San Niccolò or Oltrarno. Maybe even your love wish addressed to the Dante’s Beatrice will come true.